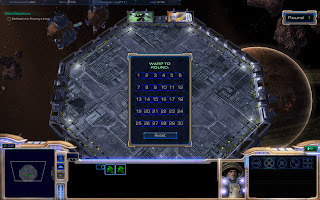 This will show you how to easily do the new blizzard custom map Starcraft Master. Here I have the way I did each level to get my portrait and achievements. 1) Put the one Marine that isn't attacked on Hold Position. Run in circles with the other. If you don't make sharp turns, you won't get hit a single time. 2) Your stalkers are faster than the Zealots. Just studderstep them: Run a bit until you have a small gap. Press Stop. Let them shoot. Repeat until win. 3) Run all your Zealots back to the smaller choke immediately. Put them all on Hold Position when arrived. They should form a nice line. One Zealot will not be able to attack at first. Replace a weaker one with him, when needed. 4) Wait until the Marines go north. Burrow all your Lings in their pass. When the Marines are exactly above your lings unburrow. Lean back and watch them go to work. 5) Split the hydras in two groups. Queue a move command for the left group to go slightly to the left, the other slightly to the right, so that you get a nice arc as soon as the challenge starts. Move weak hydras back to mitigate damage. 6) Target-fire the spinecrawler. When a hydra gets weak move it back. The spine can attack a hydra 3 times before you have to move it back. 7) Put the colossus on hold right at the beginning. Wait until ALL the lings come to the highground, then go down the cliff and hold again. Repeat. Important: Wait until ALL lings are either on the low or high ground. If they get split up, you might be in trouble. Also make sure that your Colossus never stands half on the high and half on the low ground. 8) Blink up to a tank so that you stand really close. Take him out, then walk real close to the other tank. You can spread your Stalkers out a bit, while attacking the first tank, so that the other wont splash-hit both, but thats optional. 9) Attack the bunker. Burrow weak roaches, thus mitigate the damage over all three. If necessary you can burrow all 3 roaches for healing as there is no detection. Just make sure not to wait until time is almost out. 10) Go to the most southern end of the platform with all your units. As the lings attack, close the cap with 3(!) ForceFields. That should be enough, to not get hit by a single zerling. Replace ForceFields right before they expire. Let your units just autofire. If the Force Fields land correctly, you wont lose a single bit of healthpoints. 11) This challenge is tough. You need to walk your HT back as soon as the challenge starts. Then you need to attract attention of very small groups of marines, by baiting them as you walk close. If you are lucky, you get chunks of 3-6 marines, if not you get a single marine. Repeat this until every marine is dead. Can take up to an hour or so. Another way is to run left at the start and drop a storm. Make sure all marines run through it so in the middle of their path, and then right after the edge of that storm drop another and keep running! 12) Send your drones mining and build an overlord asap. Larva will pop out very quickly. Build 3 drones, as soon as overlord pops. When the 'rush' comes, wait until the lings are in the mineralline, then select all workers and a-click somewhere. You even may build 3 more drones, but thats optional. 13) Queue a probe in the nexus before the challenge starts. Take all your probes, right click asap on the cannon and put them to hold position. This way you will get a nice surround on your cannon. Correct the positioning a little bit, so that there is a full blockade on the cannon and no zergling can slip through. Because the lings are set to targetfire the cannon, they won't attack your probes, if they are on hold. If the cannon has exactly 8 kills, you can a-move all your probes to get a nice completion time (my record: 26 seconds). 14) Move all your Zealots away from the lings at first. 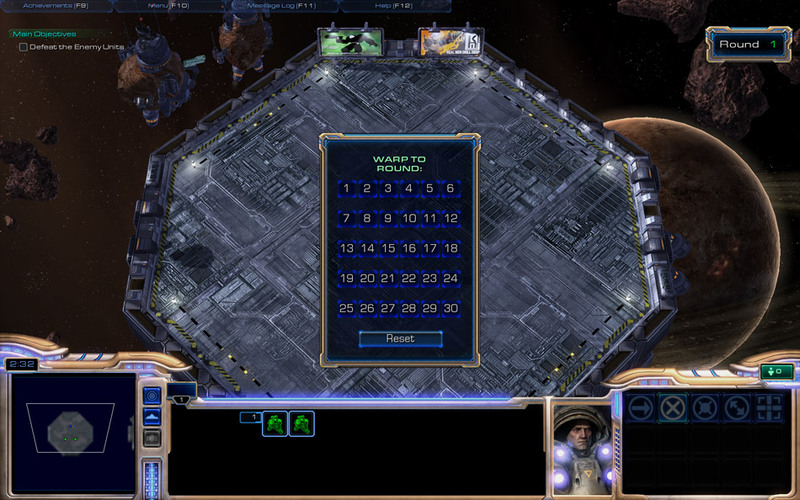 Then select single zealots and attack-move them into the banelings one by one. Spread the remaining zealots out, and put them on hold. You may ensure your victory by grabbing one zealot and move commanding him with some waypoints along the edges to place the banelings initially spawned. 15) Before the challenge actually starts, grab the left 3 hellions and set them to target fire the 2nd left marine in the 2nd row. Tell the 2 other hellions on the right to target fire the 2nd right marine in the 2nd row. In fact you can lean back now, while the challenge is actually going on. If for some reason that doesn't work for you, set all your hellions to target-fire a marine in the middle AFTER they blew of their first shot. Awesome stuff dude, hope to see some stuff for D3 when it releases. Followed. Please return the favor.